Originally coming out of the Imperial Federation Movement in England after the realisation of the potential of both Russia and America together, usurping the Magi’s command over civilisation, a society was formed to counter just such a possibility. From within the Imperial Federation was to be found a giant personality in John Robert Seeley. Seeley was about educating for the expansion of the empire, preferring the Jesuit model. This aspect of the plan would include the bringing back into the British fold the United States of America. The education aspect of the plan would be carried out by the Rockefeller family, they would achieve this through their Foundation gaining full control over education and the State Department. This agenda was found and exposed by Norman Dodd, while investigating the Giant Foundations for the Reece Committee. The overall plan would be handed down from the European Aristocrats through a network that would operate to a narrative of the Pilgrim. A secret society would be formed looking to counter past failures of policy and to capitalise on the expanding closure of distance between the Colonies offered by steam, electricity and the telegraph to manage the Commonwealth from the mother nation. Not through might of the military as had been the choice of the East India Company for a couple of centuries, but through the essence of organisation principles, specifically; economics, business, politics international banking and education to form an international creed that would be more acceptable to the lower ranks over what had until then been the cry of spreading the civilised doctrine of the Bible to the world. Chatham House, also known as The Royal institute for International Affairs, is a part of the Round Table network and was funded by the Carnegie Foundation, it is this platform upon which the new world system is to be based as presented by Cecil Rhodes. Today this supranational shadow governing system is administered through the Committee of 300 as the global system depicted in the Protocols. A system that will serve the elect council of self appointed bloodline representatives of an ancient game, the aim of which is to command the entire world under a technocratic and severely depopulated future. They have usurped the British chivalric system to front the banking empire as a new world order under corporate authority headed by the banking and credit cartel that is the Knights Templar. England gave us the Biblical common law, a civilised endeavour indeed, but like all good adventure stories there was an impostor, a mimic of the original concept following every step, this would be English Common Law which is also known as Case Law where judges look to older rulings to decide a case in the present. Reading the script of the 20th century one cannot help but note the fact that the latter of these two concepts, appears to have become the overriding choice of mankind. They choose a cloak to protect them over the real, they become the narrative of the Adam and Eve. Law or Legal? In this sense we must see Chatham House as being the head of the Rhodes secret society group which networks with all other secret societies and public organisations to secure global assets for the private international great work enterprise, which for public consumption is being presented as headed by the House of Windsor. Left and Right paradigm has always hidden the real game which of course is Monopoly. 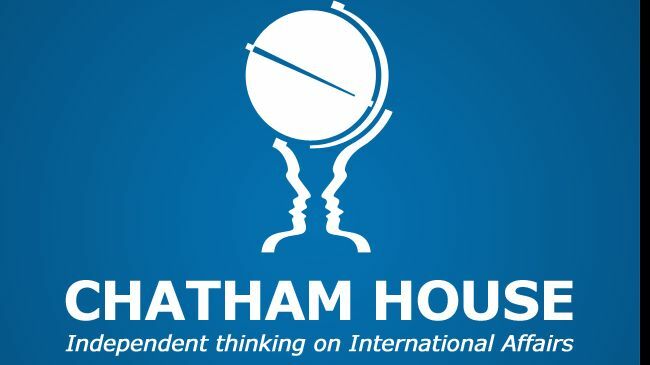 Partners of Chatham House provide significant year-on-year funding to the institute, either through dedicated support to multi-year research projects, or by contributing ongoing support to a number of activities across the institute. The organisations below served as supporters of specific research projects in 2013/14. The organisations and individuals below provided support to the activities of Chatham House’s research departments in 2013/14. The President’s Circle comprises individuals who enable Chatham House to undertake major initiatives, including the Academy for Leadership in International Affairs, research fellowships, new research streams and cross-institutional collaboration. Support from members of the Director’s Circle allows the director to invest in timely and innovative research and thought leadership. Lionel Curtis Group Through their ongoing philanthropic commitment, individuals in the Lionel Curtis Group offer discretionary support to the institute’s core research activities – ensuring its independence from any one funding source or agenda. The William Pitt Group, founded in 2009, comprises individuals committed to the success of the institute, and whose philanthropic support strengthens the institute’s independence. magazine to allow for additional online content and video and to make access to the magazine available on a variety of electronic devices.